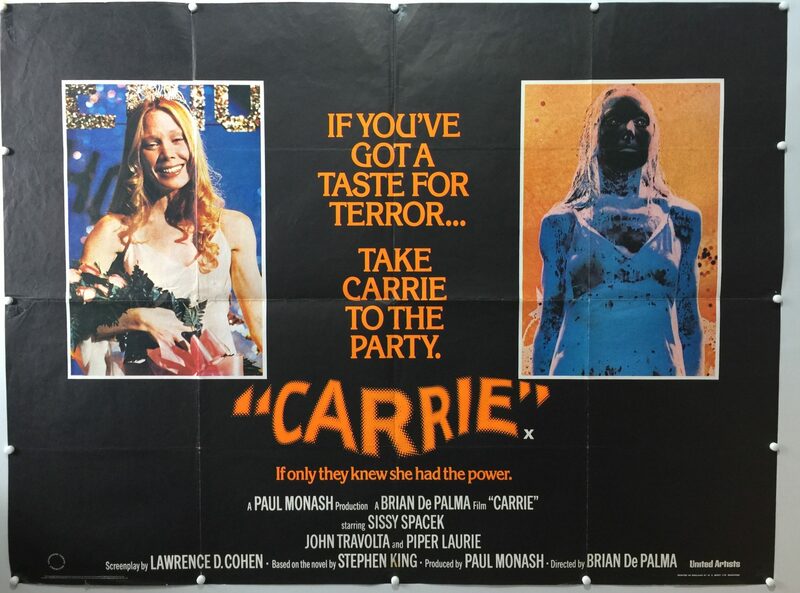 Carrie is a 1976 American supernatural horror film based on Stephen King’s 1974 epistolary novel of the same name. 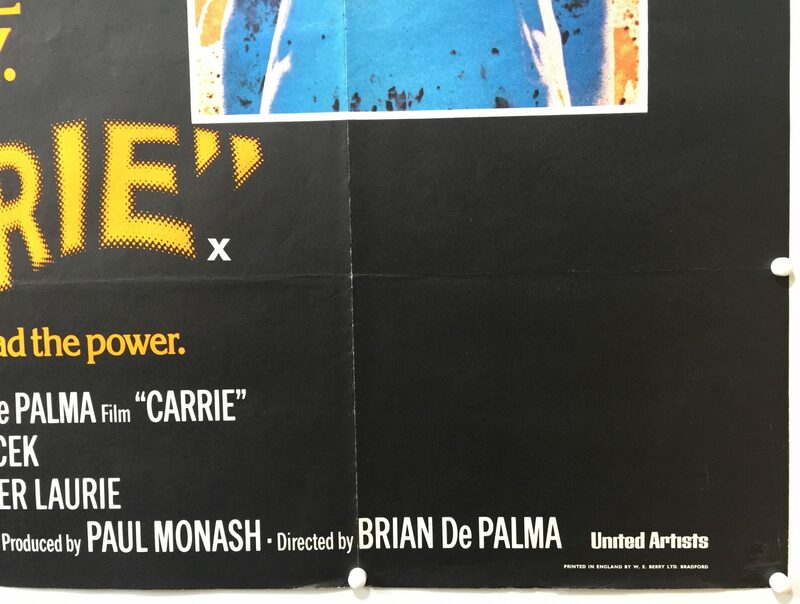 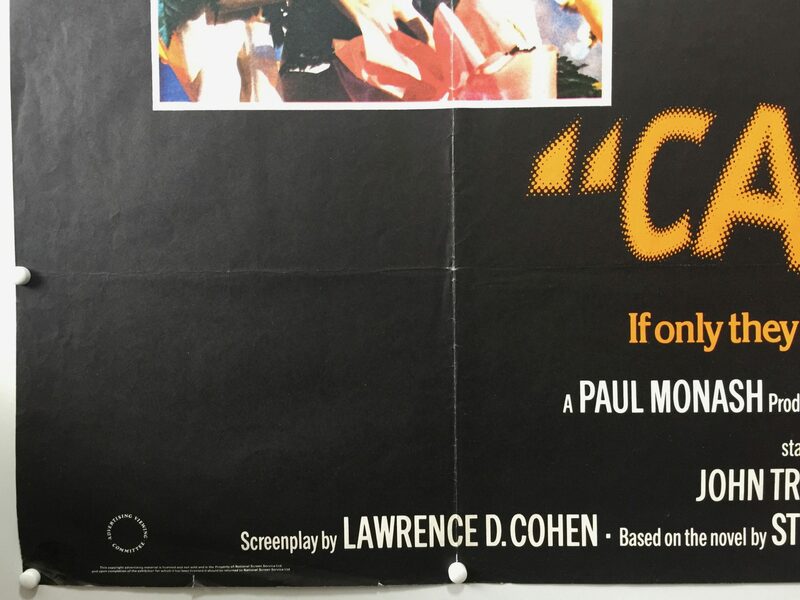 The film was directed by Brian De Palma and produced by Paul Monash, with a screenplay by Lawrence D. Cohen. 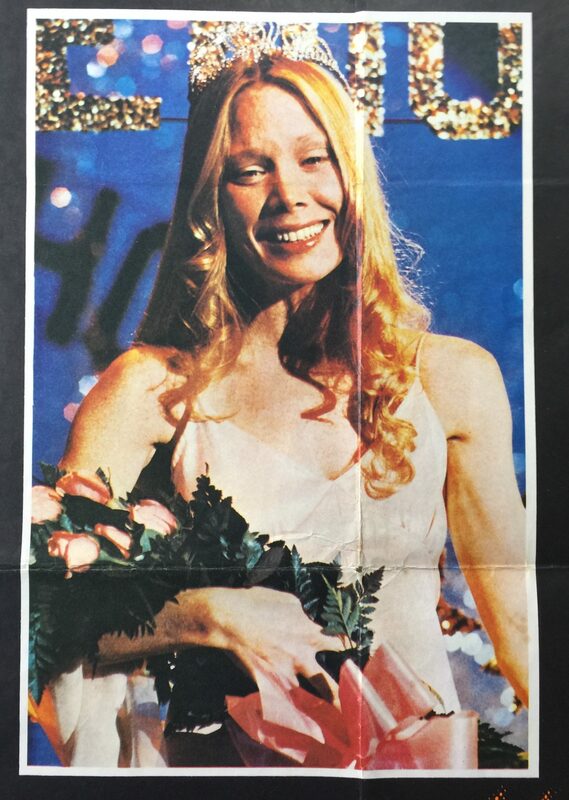 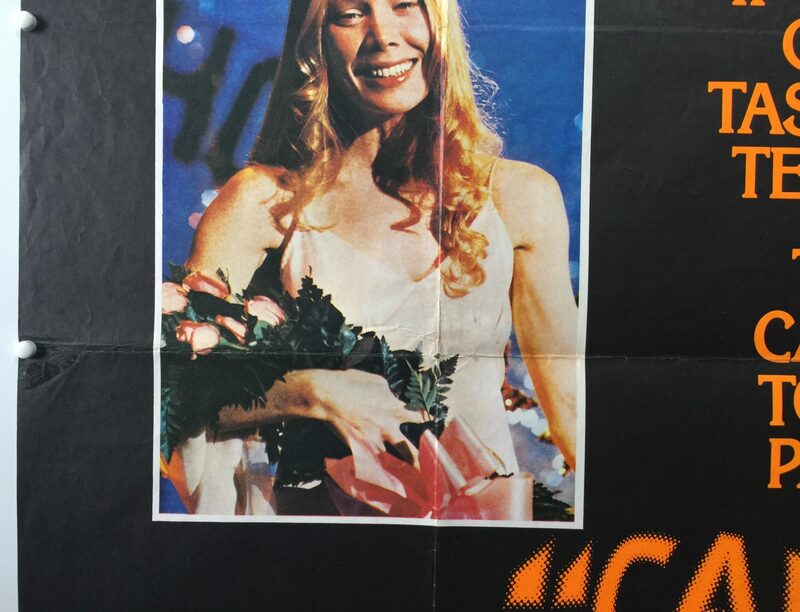 The film received two Academy Award nominations, one for Sissy Spacek in the title role and one for Piper Laurie as her abusive mother. 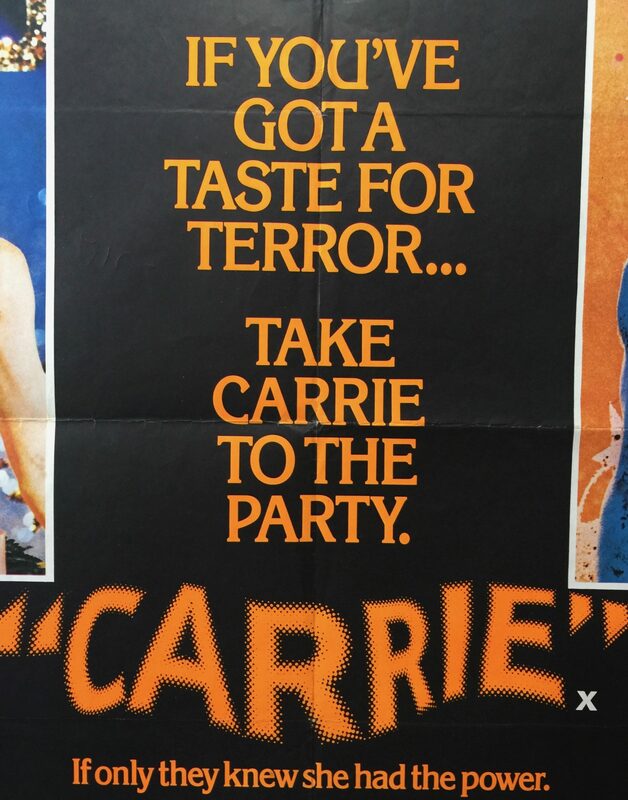 The film featured numerous young actors – including Nancy Allen, William Katt, Amy Irving, and John Travolta – whose careers were launched, or escalated, by the film. 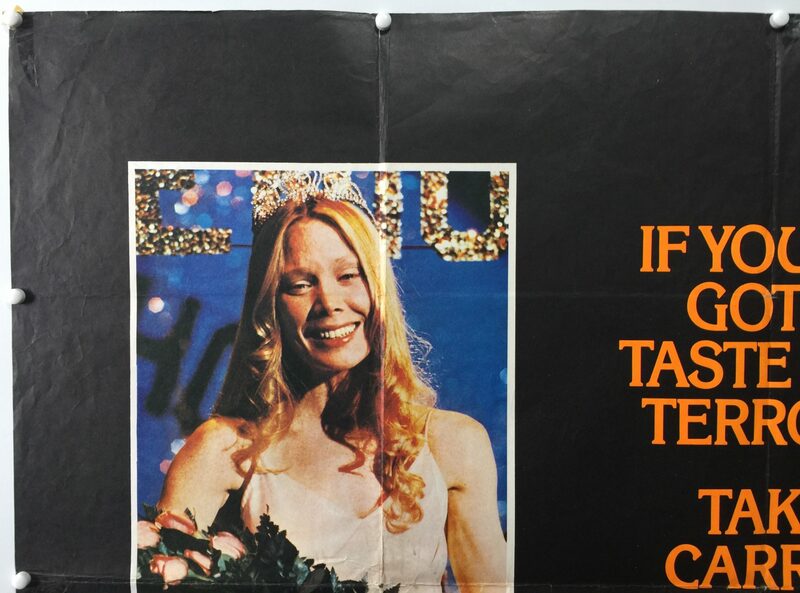 It also relaunched the screen and television career of Laurie, who had not been active in show business since 1961. 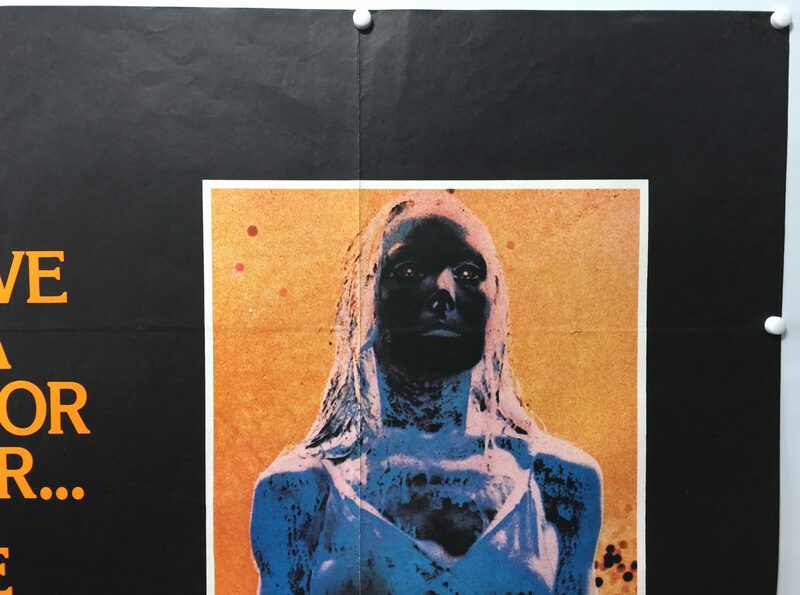 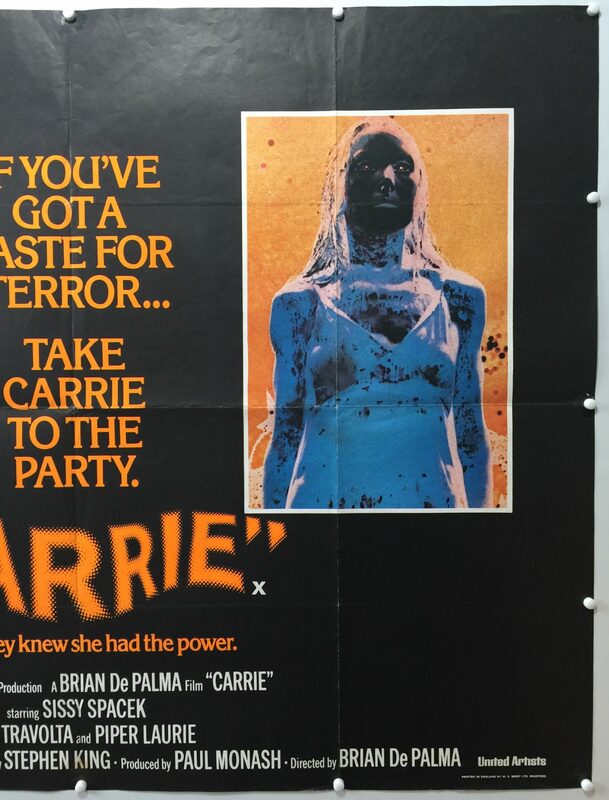 Carrie was the first of more than 100 film and television productions adapted from, or based on, the published works of Stephen King. 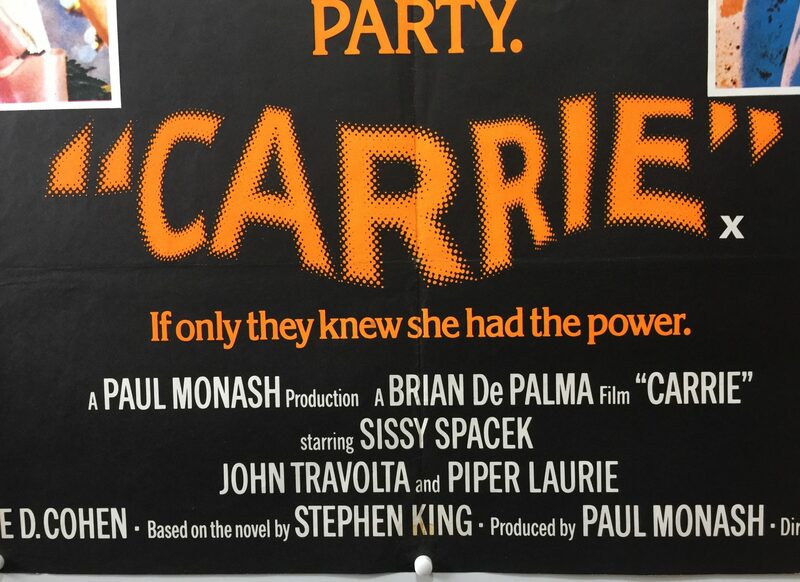 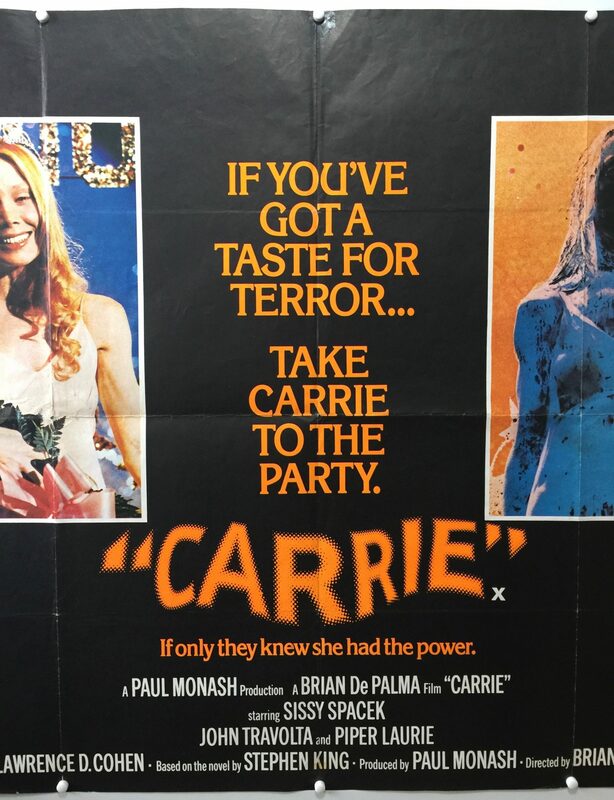 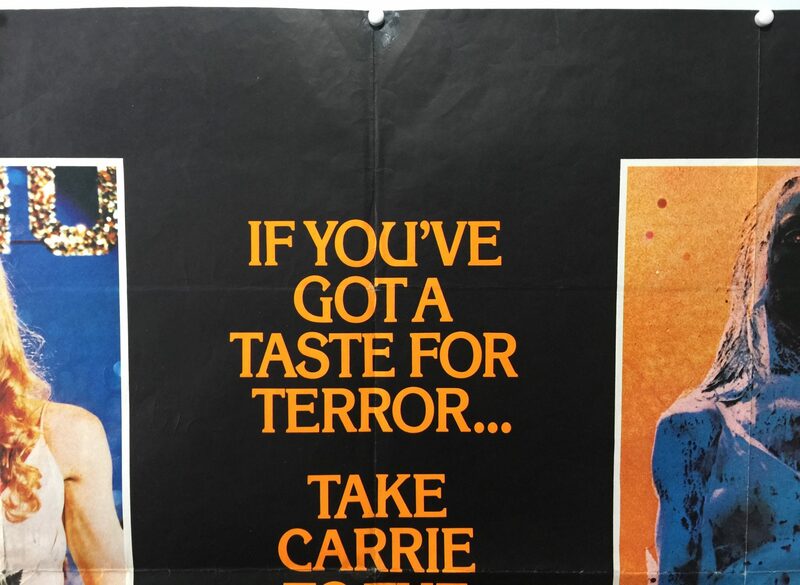 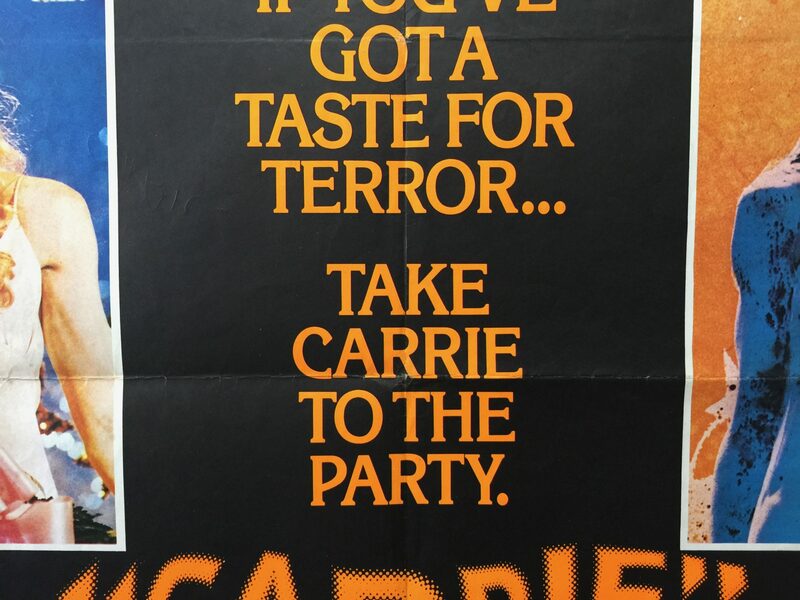 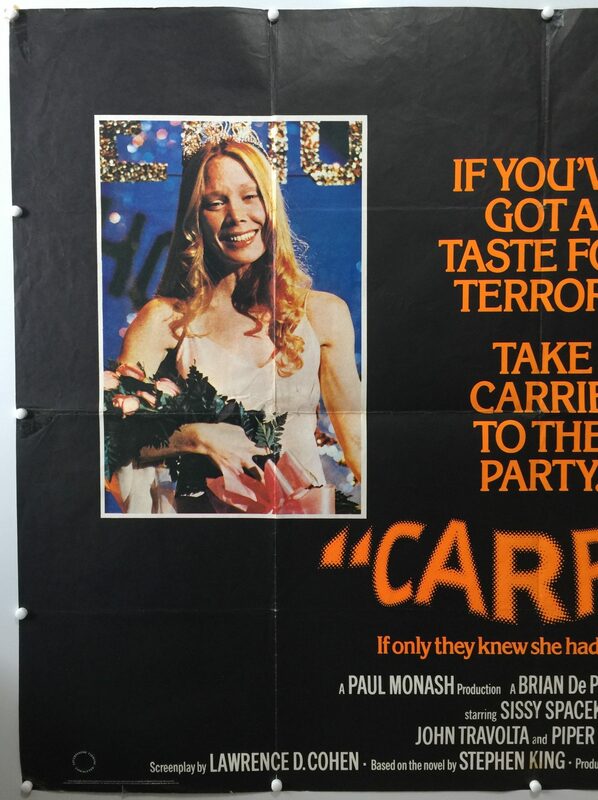 If you’ve got a taste for terror… Take Carrie to the party.